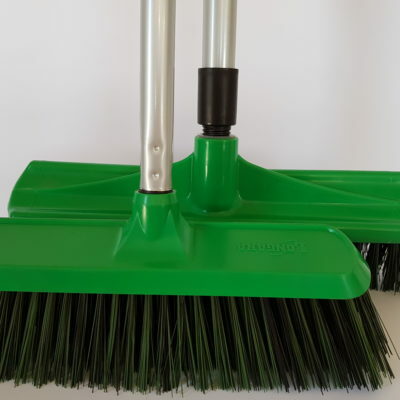 We are a well-established Australian manufacturer and supplier of high quality, reliable brooms, brushware and professional cleaning products for the home, commercial and industrial sectors. Clean up your BBQ and outdoor areas for Australia Day! 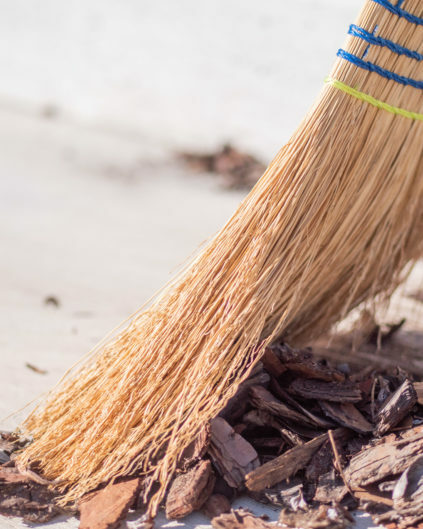 This incredibly versatile broom is perfect for patios, cement, and timber decking – wet or dry. How long should a brush last? A long time! Of course, we can’t give a definitive answer, as an individual application, environment, usage and storage all impact longevity. The key is quality: even well-manufactured brushes used infrequently simply won’t last if they are built with inferior materials. How much should I pay for a brush? The old saying you get what you pay for applies here. Quality products usually cost more, but last longer. We would always recommend a natural, full bristle. Some manufacturers reduce the amount of bristle punched into the brush to cut costs, leaving downward pressure on the materials inadequately supported. Do you use recycled product in your manufacturing? Yes, where possible. Our plastic manufacturing process uses a mix of recycled PP material with virgin material, and we use a PET material made from recycled plastic bottles in some of our bristles. What is better: natural or synthetic bristles? Better in high temperature environments. However, synthetics can achieve a greater scrubbing range, as they can be extruded in a range of sizes from very fine to very course. The general rule is natural fibres for soft floor environment, fine dust and polishing and synthetic materials for scrubbing and agitation. Do you manufacture your products in Australia? In 2017, approximately 80% of our product was manufactured in our facility in Brendale, here in Australia. We are a proudly Australian company, owned by the Peacock family for over three generations. Absolutely! If our product disappoints, let us know and we’ll make it right. This rarely happens: Longara is made stronger, to work harder. After all, we want our customers to return, not our products! 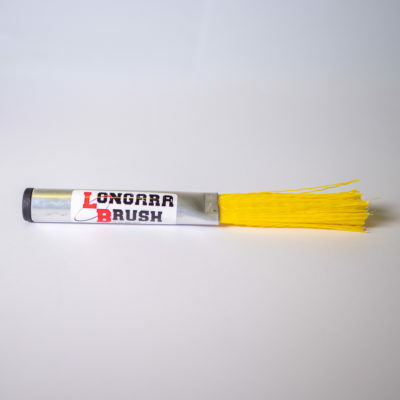 Longara represents quality and experience in Australia’s brushware and cleaning industry for more than 50 years, spanning three generations. I keep breaking handles - any tips? 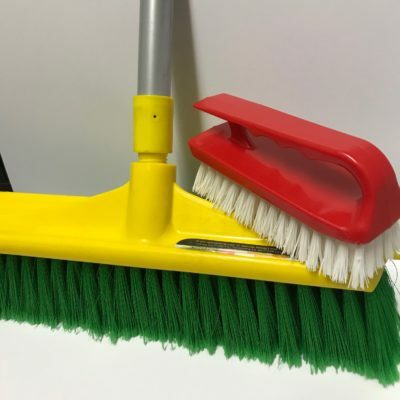 Avoid banging the brush block against solid fixtures when sweeping as it can become a buckle point; the wider the brush head, the greater the buckle point. For heavy duty use, consider investing in handle supporting stays. Store handing upright to protect the bristles and handle. Why are your cobweb brooms a dome shape? This unique design efficiently gathers cobwebs by allowing you to place the brush head into the centre of the cobweb and using a simple turning motion. How do I know which brush to choose? Check out our Brush Selection Guide. As a general rule, choose natural fibers for a soft floor environment, fine dust and polishing and synthetic materials for scrubbing and agitation. After all, cleaning a wine glass and a concrete surface are two very different processes! The wine glass requires soft, natural materials (i.e. horse hair material) and the concrete surface requires heavy agitation (i.e. hard PP synthetic material). And remember, the shorter the trim length the harder the bristle. If you’re still uncertain, give us a call – our experienced sales team is ready to talk to you about your specific needs. Why do the plastic products I’ve bought break and crack? In most situations, cracking is due to a financial shortcut in the production process. Sometimes, the wall section of plastic is too thin, causing strain and fatigue, or the use of recycled material with a high add rate to virgin material has compromised the cellular structure. Longara’s design process is designed to avoid both of these failings. Have been dealing with Longara for 15 years, really appreciate the 'can do' attitude from all staff and their attention to details. They are solution providers. We attempt to support local manufacturing industry at every opportunity. Have been purchasing from Longara Brush for the last 30 years. Their quality and service hasn't waivered. I know I can rely on Longara to deliver me quality product, they do what they say, when they say and provide us helpful expert advice when we require it. They have been doing this consistently for me for the last 20 years.